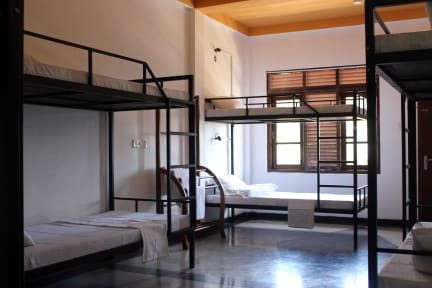 MY Hostels Weligama was incorporated recently with the object of building and renting out hostel facilities for the tourists seeking reasonably cheap accommodation in different locations in Sri Lanka. MY Hostels Weligama, is located close to the Southern point of the Island of Sri Lanka and close to the equator. Weligama is a beach town with breathtaking sandy beach, its popular for tourists and surfers. 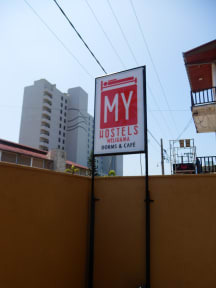 MY Hostels Weligama has a lobby and dining area common room with a homely and warm atmosphere and friendly staff. It has Female and mixed dorms, A/C and non A/C, with individual lockers, bunk beds and attached wash rooms. Linen and towels are provided. Super nice hostel and very kind staff who will help you with all your questions. I booked the female only room and I was the only one there. It didn’t feel uncomfortable or weird at all. I was actually kind of happy to have a private room for once :) but it would’ve been nice if there were a bit more people for the ambiance. And there should! It’s such a nice hostel with great facilities!! All brand new. So people, book here!